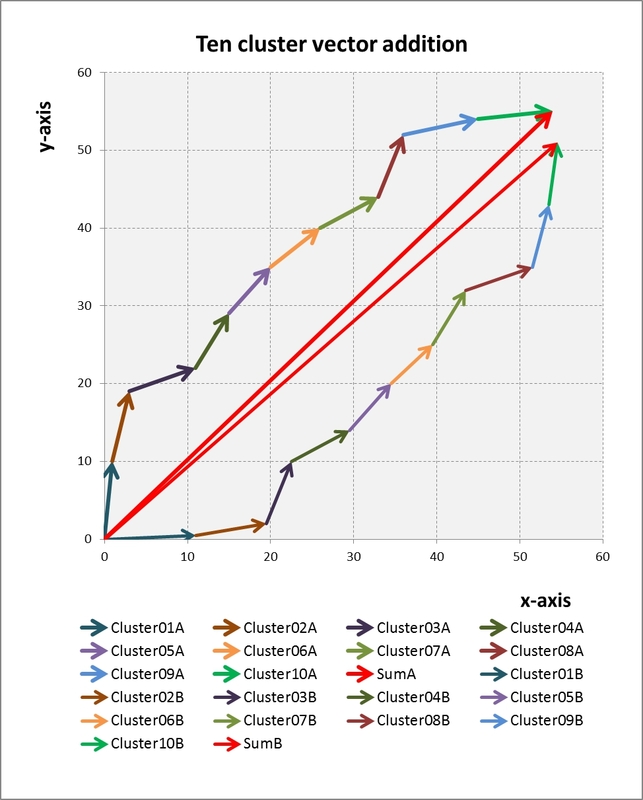 Want to show the relationship of several clusters with any two indicators? 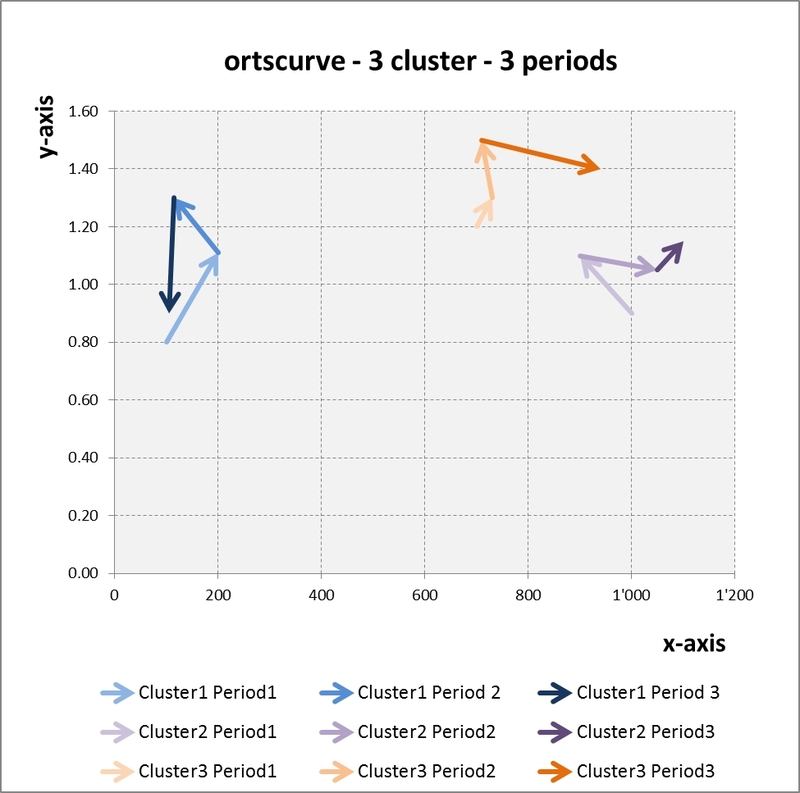 Then: This is the solution, kpisquare and Vektor Profiles. On this page you will find different free templates for Excel vector profiles for download. Click on the picture shows the large version and click on the buttons either downloads the Adobe Acrobat (pdf) or the Excel file(xlsx). look for the template, which contains at least that number of clusters that you want to consider. 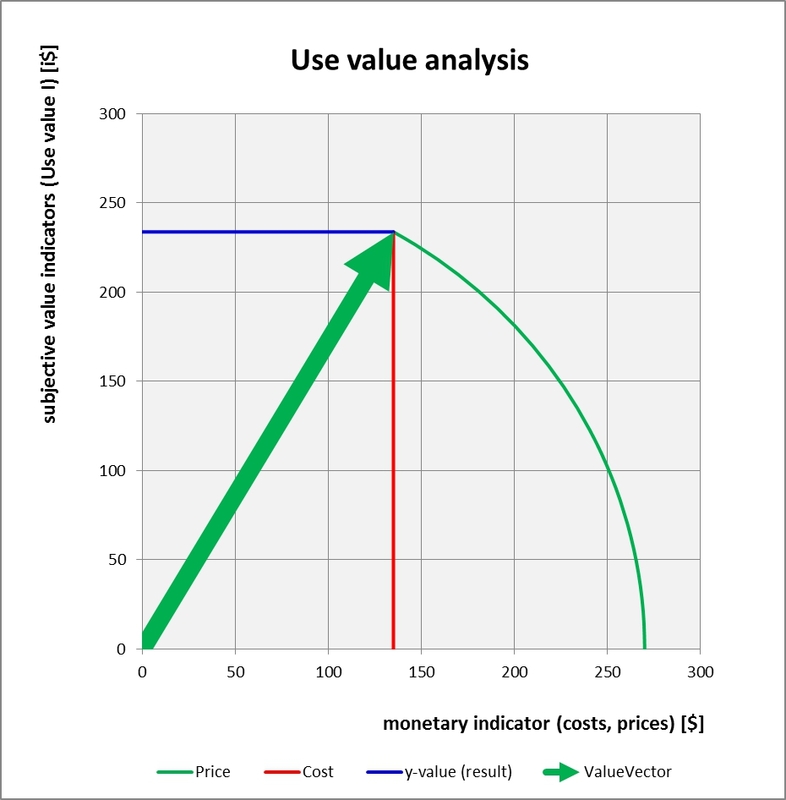 Use for comparison of data sets - for example, budget and account of two companies or business cycles or.... - the pure vector representation (without colorized rectangles). Use it for comparing monetary with monetary - monetary with nonmonetary and nonmonetary with nonmonetary indicators. You may be surprised about the new transparency you will gain. Make "Drill-Downs" by copying the first page behind that page so much times as you have "clusters". Then structure the elements of the "sub-clusters" according to your needs and link the sum to the corresponding field on the first page. Connect in the Excel your internal data with external data from web. Frames around the vectors facilitate untrained observer the orientation. 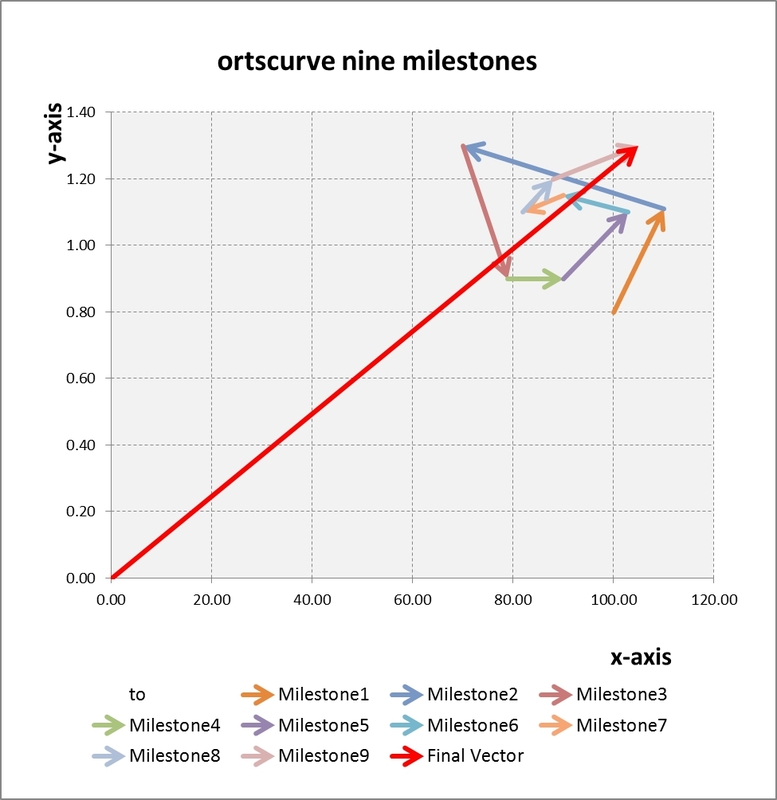 Similar to "10 Simple Vectors" but with a second record. 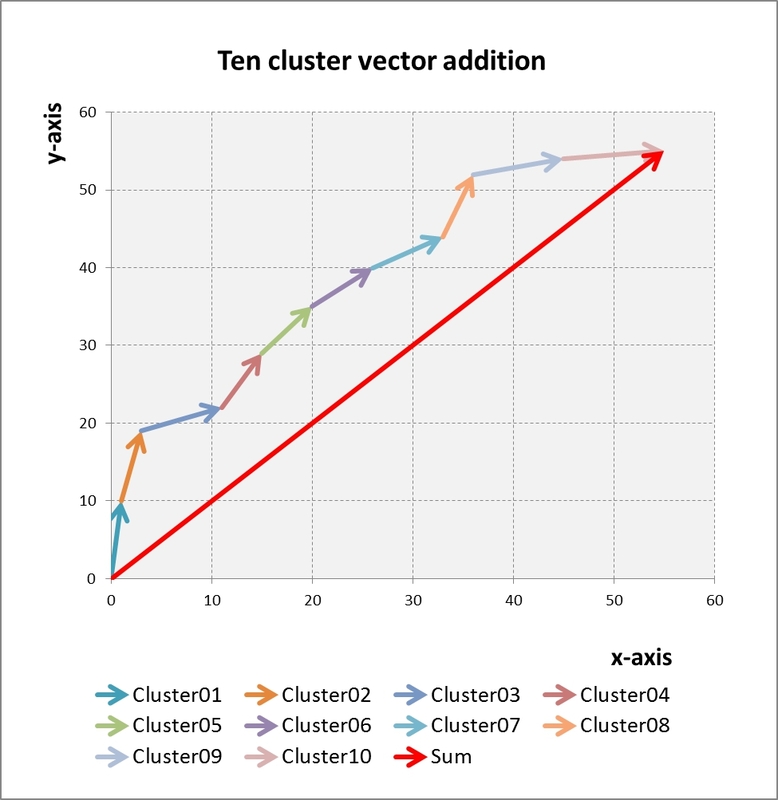 10 cluster starting x=0 and y=0 (without addition) with sumvector. Easier for newbies to see the interdependences. 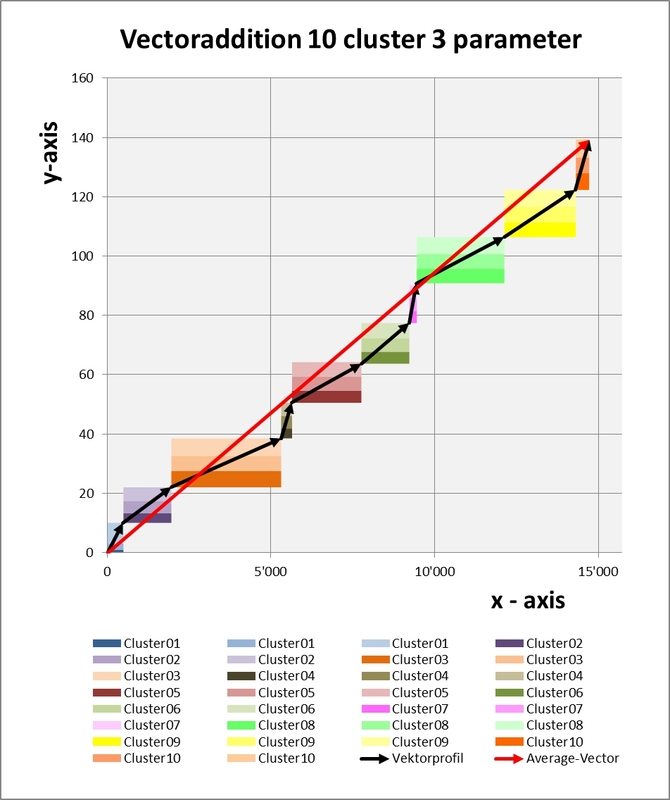 Restriction: Values on x-axis must not be negative. 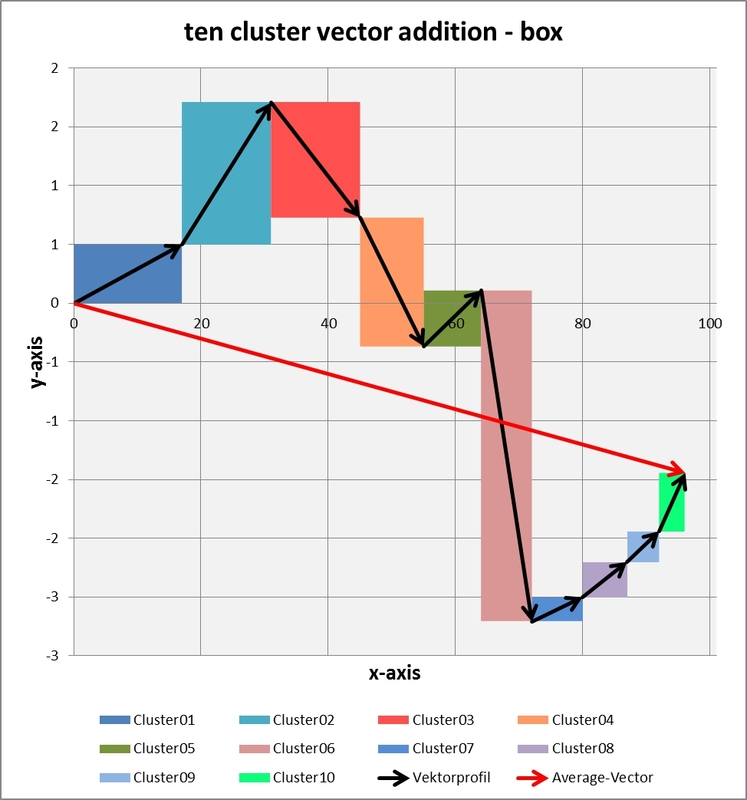 Similar to "10 Simple Vectors" - 10 clusters and vectors with underlying colored background. 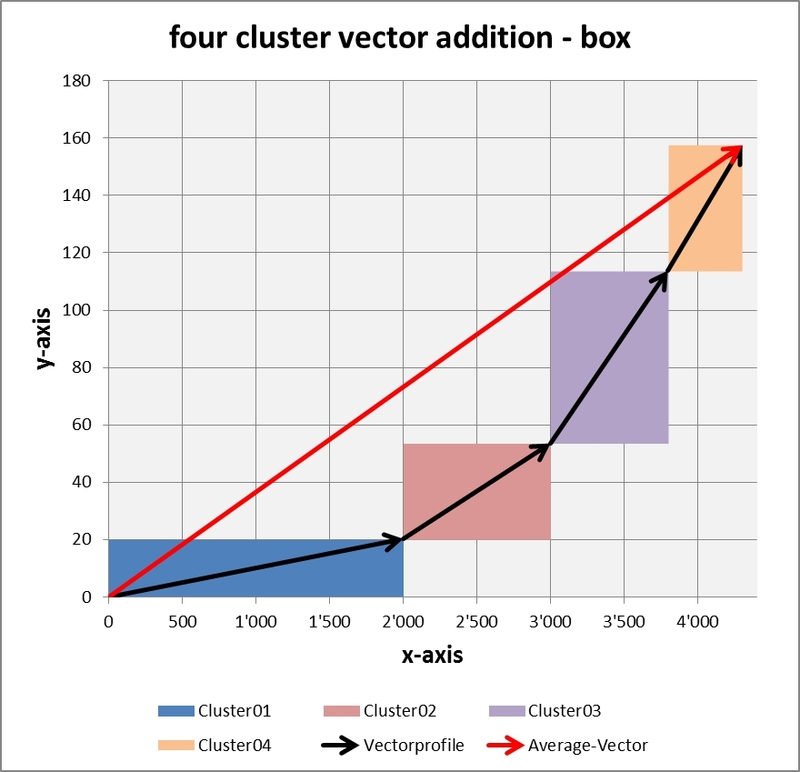 The y-values of the clusters have three parameters. 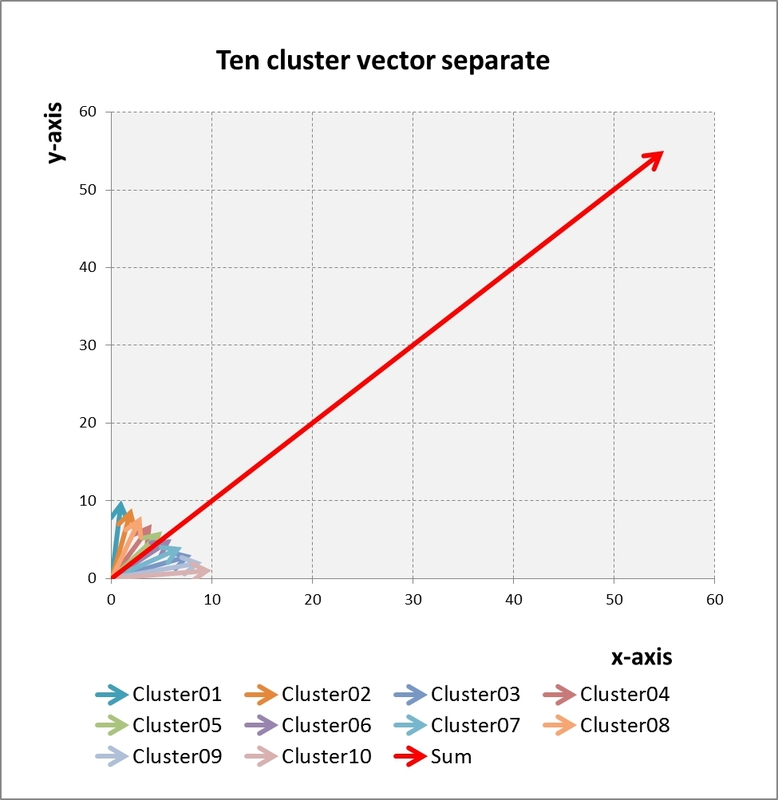 Enabling for example visualizing expenses for marketing, R&D and production in the 10 clusters. Private use is permitted without license - derivative works and commercial use requires registered license (enduser, consultant, education, software...). See Creative Commons. "Business Engineering Systems" is a set of "think-how" the problems and tasks from another point of view.